Fiber ring to seal the fuel banjo on the Dellorto UB and MB carburetors. This ring has an internal diameter of 13.75 mm. This is item number 21 in the drawing. 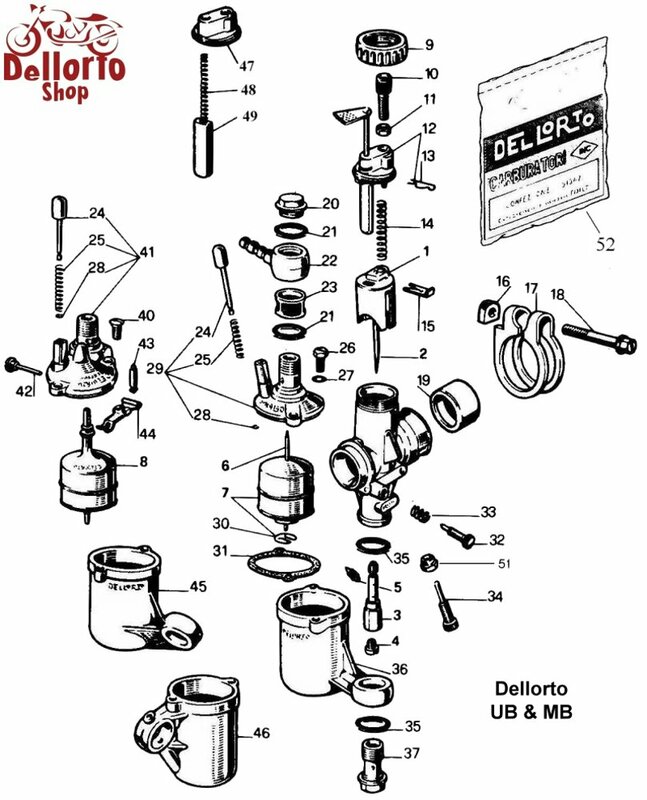 New-Old-Stock Fuel Union Nut for the Dellorto UB and MB series carburetors. Please note that as this is an original old stock item, the surface finish might be less-than-perfect. This is item number 20 in the drawing.